In February I visited Rishikesh, famous both for yoga and for the ashram where, in 1968, Maharishi Mahesh Yogi taught the Beatles how to practise Transcendental Meditation. Rishikesh is also where the Ganges emerges from the foothills of the Himalayas. The river is surprisingly wide, with only two iron suspension bridges connecting the two parts of the town. 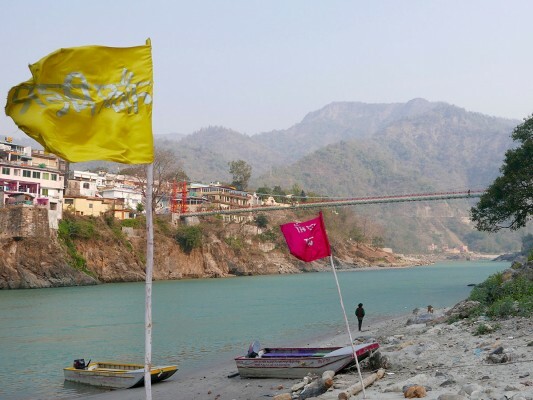 The photo above shows Lakshman Jhula, which is further upstream than Ram Jhula.